The goal of this meeting is for the client to put a face to a name, and walk us through any of their their cat(s) routines. All information pertaining to cat and home care will be included in client profile prior to this meeting. Clients must fill out completely their online profile prior to this meeting. Two copies of your house key must be provided with payment in full. If you do not have two copies, another can be created for a $10.00 charge. The first meeting is complimentary. If a second consultation is requested for any reason after the initial or no services are booked, client agrees to pay a full visit charge. Payments for sitting services must be paid 48 hours before first day of booked visits. Established client credit cards will be charged 48 hours before any booking beginning within two days. If payment is not received within 10 days of final visit, a 1.5% interest will accrue from due date until paid. Au Purr accepts online payment through e­checks, or Visa or Mastercard. We do not accept checks. If Client requests to extend service, the Client guarantees payment at the same rate for all services provided immediately upon return. A last ­minute surcharge of $20 may apply for all bookings made within 1 working day of requested visits (9am­-6pm). If a next­ day service request is made after office hours (9am­-6pm), it is considered the next day and the surcharge will still apply. A $10 surcharge may be applied to any booking made within 2 days of requested visits. Holiday Surcharges are charged at a 20% rate of the total for Thanksgiving (Thurs-­Sunday), Christmas (December 24-­26th), New Year's (December 31st-­January 1), Memorial Day (Friday­-Monday of that weekend), Independence Day, and Labor Day (Friday­-Monday of that weekend). For early return and cancellation of service (for non-­holiday reservations), a 24 ­hour notice is required or Client will be charged the rate of one visit. After cancellation fees, any remaining balance will be applied as credit to future pet sitting visits only. No cash refunds will be given. All holiday period reservations (Memorial Day, Labor Day, Thanksgiving, Christmas, and New Year's) require at least a 7-­day notice for changes and cancellations or Client will be charged for the entire amount of services reserved. No balance will be returned for early returns during holiday periods. All holiday period visits must be prepaid during Thanksgiving, Christmas and New Year's. The Christmas /New Year's period is hereby understood to mean any bookings made between the two week period between Dec 18 and Jan 1, and will be hereby be referred to as Christmas or New Year's "holiday bookings." *NEW FOR 2017* A $100 non-refundable deposit (or full amount of booking, whichever is less) must be paid at time of booking for all holiday reservations for Thanksgiving, Christmas and New Year's, and full payment must be made 3 weeks prior to first visit of booking, or your booking will be cancelled. Once payment is received, booking will be confirmed and deposit applied. For all holiday bookings, cancellations two weeks prior to first visit are 100% refundable as credit for entire schedule (minus deposit) and will be given a credit that can be used for future services. For Thanksgiving, Christmas, and New Year's holiday bookings, cancellations one week prior to first visit are 50% refundable minus deposit as credit for entire schedule and will be given a credit that can be used for future services. Holiday Cancellations less than one weeks notice before 1st visit is non­refundable. In the event of pet illness or other medical emergency and specified vet is unavailable, pet will be taken to specified veterinarian. Should specified veterinarian be unavailable, pet will be taken to closest veterinarian available. Client understands and agrees that attempts will be made to contact them in case of emergency and if Client is unreachable, Pet Sitter has permission to authorize any care (excluding euthanasia) that the vet deems necessary for pet's health, safety and survival. Client agrees to reimburse Au Purr for any additional fees and all costs relating to vet care during their absence, which may include x­rays, blood work, surgery and/or other expensive procedures, as well as any transport fees or any expenses incurred for any other home/food/supplies needed. For the safety of your pet and others, pets must have current vaccinations, unless deemed unnecessary by vet. Should Pet Sitter be bitten or otherwise exposed to any disease or ailment received from Client's animal which has not been properly vaccinated, it will be the Client's responsibility to pay all costs and damages incurred by the victim. Au Purr reserves the right to invoice/bill for service and time for the following, but not limited to: all payments made by Au Purr during veterinary trips; pet illness; obtaining pet food, medication or supplies; wait time for emergency home repair; search for cat(s) that escaped confinement. Client will be held responsible for all expenses incurred and reimburse Au Purr upon return. Visits made between the hours of 7pm-­9pm and 7:00 am­-9:00am are subject to an additional $10 per visit. All services booked within 24 hours may be subject to a $20 service charge. If less than 3 hours a $40 service charge may apply. Two full working copies of your house keys must be provided at time of registration / consultation. If you live in a gated community or building that uses a FOB, you must provide a gate card, remote or appropriate access codes. For safety and security reasons, NO KEYS will be mailed by regular mail, hidden outside or locked in homes on last visits. In instances where keeping a key on file is not possible or client does not wish to make a copy (aka "Do not duplicate" building keys), a $20 pick up/drop off fee will be added to the booking each time. Should keys become unusable, lock malfunction, Client fails to leave a key or for any other reasons beyond Pet Sitter's control, Jille Eikenberry/Au Purr has authorization to employ the services of a locksmith to gain entry into a Client's home on Client's behalf. Client will be responsible for all expenses incurred and reimburse Au Purr upon return. 1) Due to the extreme unpredictability of animals, Au Purr cannot be held responsible for any unusual mishaps (i.e., pet's refusal to take medication, escaping from the yard, biting, eating or destroying household items, damage to inside/outside of home, personal injury/accidental death). If Client requests cat(s) to have outside access, Client releases from all liability for loss, injury or death to pet(s). Client is liable for injury or damage to Third Parties. Client's responsibility to pay all costs and damages incurred by the victim. Facebook page, and Instagram page. All photos taken are the property of Au Purr. above. All payments are due within ten (10) calendar days of First Visit. Any amount that is not paid when due accrues interest at one and one­half percent (1.5%) per month or the maximum rate permitted by applicable law, whichever is less, from the due date until paid. A handling fee of $25 will be charged on all returned checks. In the event it is necessary to initiate collection proceedings on this account, Client will be responsible for all attorney's fees and costs of collection. Any dispute regarding any aspect of this agreement shall be resolved by arbitration or small claims court. Except for collection proceedings on this account, the parties shall share the cost of the arbitration/small claims court and the decision shall be final and binding. 5) Client understands that rates and fees may vary depending on service booked. Client agrees to pay the amount specified per visit in contract signed at initial signup. Any additional visits made or services performed shall be paid for at the agreed contract rate. All fees are expected to be paid 48 hours before bookings begin. If additional visits are performed due to late return of client, additional fees are due upon the client's return. For future pet sitting under this contract, fees are to be paid online 48 hours prior to the start of the first visit of the booking. 6) Visit times are approximate and subject to change based on the needs of all pets under Jille Eikenberry/Au Purr's care. 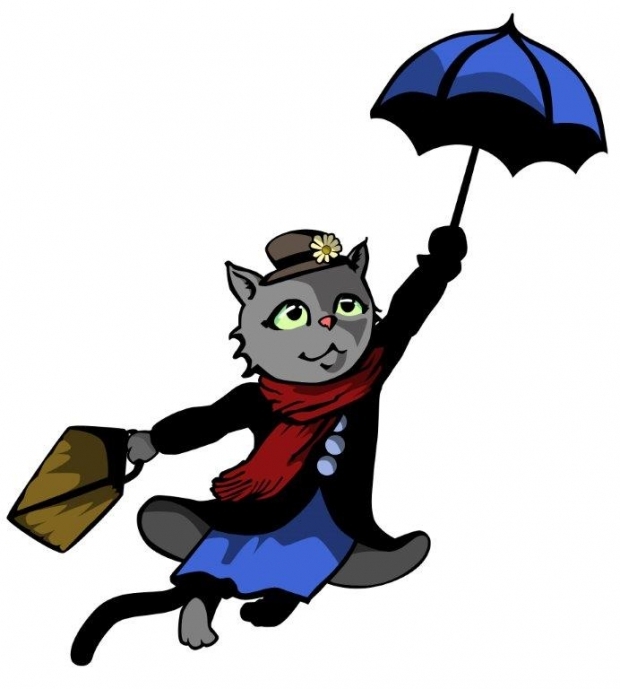 Jille Eikenberry/Au Purr is entrusted to use best judgment in caring for cat(s) and home, in the event of an emergency situation, inclement weather or natural disaster. Au Purr will be held harmless for consequences related to such decisions. 7) In the event of injury or illness of designated sitter, or other emergency circumstances where duties are unable to be performed, Client authorizes Au Purr to arrange for a back­up sitter to take over duties as outlined in this agreement. 8) Au Purr reserves the right to terminate this agreement at any time before or during its term if Jille Eikenberry/Au Purr determines that Client's pet or home poses a danger to the health or safety of herself/himself or others. If concerns prohibit Jille Eikenberry/Au Purr from caring for pet, Client authorizes pet to be placed in a kennel with all charges to be charged to Client. 9) Au Purr/Jille Eikenberry agrees to provide the services stated in this agreement in a reliable, caring and trustworthy manner. In consideration of these services, the Client expressly waives and relinquishes any and all claims against Au Purr except those arising from negligence or willful misconduct on the part of Au Purr or Jille Eikenberry. 10) Client authorizes this signed contract to be valid approval for future services of any purpose provided by this contract until either party provides written notice of termination, permitting Jille Eikenberry/Au Purr to accept online reservations for service and enter premises without additional signed contracts or written authorization. Utmost care will be given in watching your cat and your home. However, due to the extreme unpredictability of animals, we cannot accept responsibility for any mishaps of an exary or unusual nature (i.e. bitings, furniture damage, accidental death, etc.) or any complications in administering medications to the animal. Nor can we be liable for injury, disappearance, death, or fines of cats with access to the outdoors.